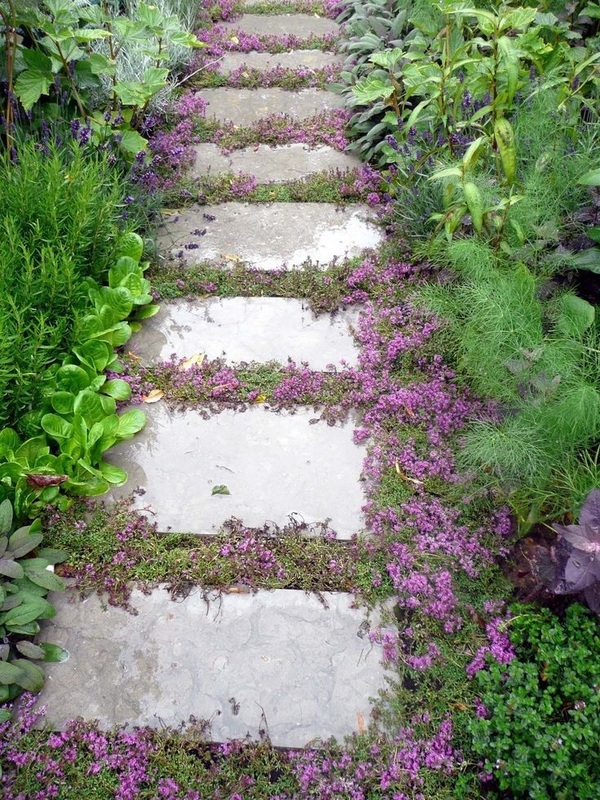 Creeping Thyme, also known as ‘Mother of Thyme,’ is an easily grown, spreading thyme variety. It has a nice gray-green foliage and beautiful pink flowers. So this means both texture and color. It is also a very low maintenance plant that is drought tolerant. It will thrive perfectly between flagstones. I have to say great article! I work in a greenhouse and sell all of these so thank you! However I noticed your photo ID of “pratia” is actually a photo of Bugleweed botanical-Ajuga, either mint chip or chocolate chip variety. May help to fix this so as not to confuse those searching it out in the retail world. Yes, I also noticed this right away. You also spelled ‘ pieces’ wrong. You used Peace’s. Looking for a good ground cover that can survive the Florida heat even in the shade. Boy I have money wort and it can take over. I am forever cutting it back from other plants in the area and pathways. But I do not have to weed a large area under same maple and azela bushes. The money wort grows dense enough to keep weeds away. I was struck by how similar-looking Baby Tears is to the common chickweed, which is also a nutritious edible. After reading this enjoyable article, I’m tempted to stop pulling up the chickweed and encourage it instead! Would this creeper work to cover lawn area? My grass is terrible and I don’t want the maintenance.